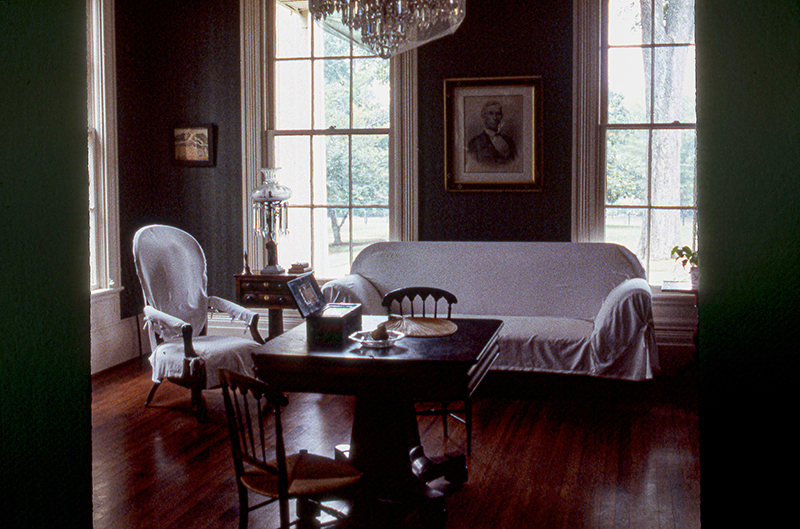 The Mudd Sitting Room in the Arlington Antebellum Home in Birmingham features a fine collection of mid-nineteenth century furnishings. During warm summer weather the room is prepared in "summer dress," as pictured here. The white covers protect furniture from damage and the netting protects the chandelier from bugs that enter through open windows.